Join us for a guided hiking tour through Switzerland, Italy, Bhutan, Colorado, the desert Southwest and more. Note: The prices are valid until September 30, 2011. Book early. Save money. Spend the savings on chocolate and wine (or beer)! 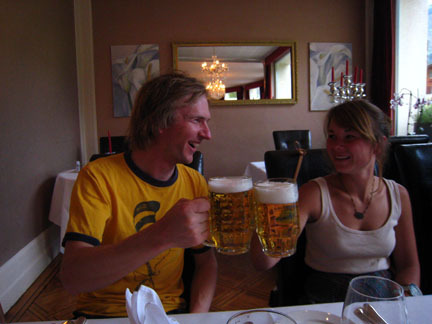 Image: Willi and Finley toasting to a day well-hiked.